Here is a cool method for decluttering and tidying up your home. Check out the KonMari method by Marie Kondo. First you have to get rid of useless stuff. You know the stuff, those items you don’t use, need, or want. Is it broken, doesn’t fit, haven’t used or worn in years? Here is a quick and frugal homemaking tip. Save and freeze tomato pieces that you may have leftover or over-ripe pieces. 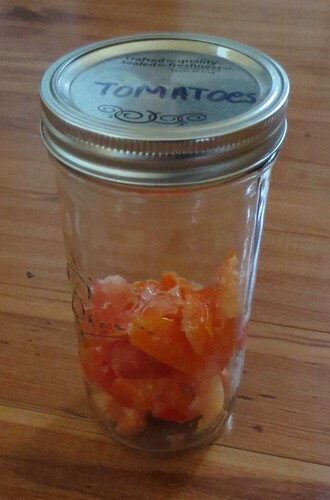 This is also a good tip for freezing as you can use a freezer-safe canning jar and just add pieces as you acquire them. 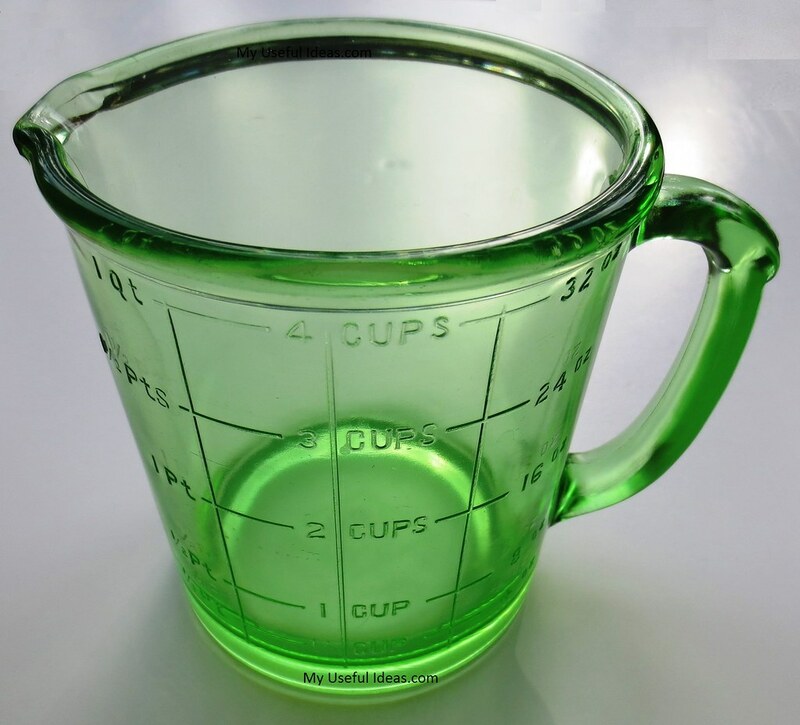 This beautiful green depression glass measuring cup has been in my family for many years. It belonged to my Grandma and was given to me after her death. I believe it dates back to the 1940s or maybe even earlier. I displayed the 4 cup green measuring cup for years in my kitchen and didn’t use it. I discovered this useful idea for storing fresh cabbage. 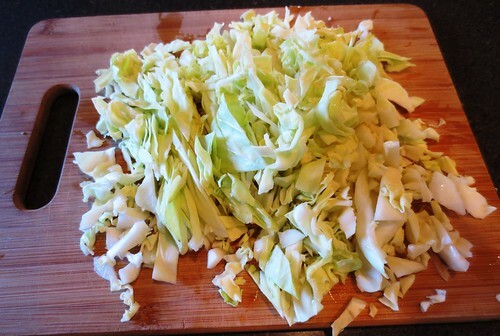 I cut up this garden fresh cabbage and froze it in freezer bags. 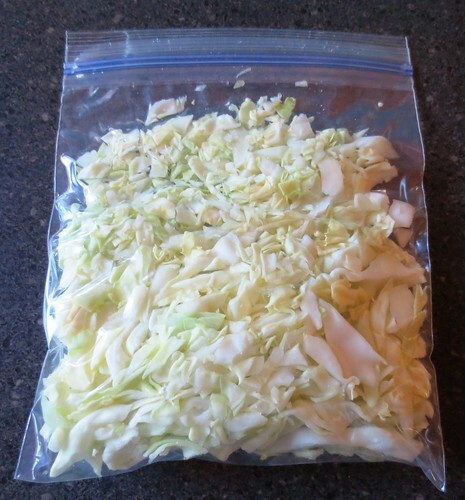 A half of a cabbage head fits nicely into a quart sized freezer bag. Roll up the freezer bag with just a small opening left in the zip lock so the air can escape. Roll the bag up towards the zip lock opening and push out all the air you can.